Bodhran drum beater/tipper 22 carat Gold nib . This item has been made with honour and respect by a shamanic drum maker and shamanic practitioner with over 18 years experience. 10" Shamanic Spirit Drum with Beater. The drum will be supplied with a beater especially selected to bring out the best sound from the drum and also a care advice leaflet. Double Chain CAM Driven System. Bass Guitar Strings. HOOP CLAMP ADJUST. Drum Key Adjust. DRIVEN SYSTEM. BEATER ANGLE ADJUST. Dual Faces (See-Through Blue). New Gear: If you’re not satisfied, neither are we. Make your own cajon. Acoustic Guitar Strings. Bass Guitar Strings. Electric Guitar Strings. Snare effect: Snare. Special Features: DIY set, bass/soundhole are ready cut. © 2017 Strings For Less. 1 x rear panel. Decorated single headed shaman style drum. 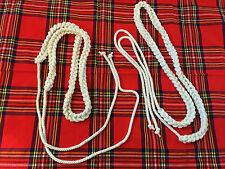 Hand made with white rope tuning / handle at the back. Complete with soft headed beater. Circular wood body. Natural goat skin vellum head. HANDPAN D-MINOR (D 3 ) A3 C 4 D 4 F 4 G 4 A 4 C 5 D 5. Listen to the beautiful sound of this handpan · All notes have excellent resonance vibration. · Strong bass note resonance. Find the best resonance dot of each note, and beat exactly in this place. SHAMAN DRUM . Handcrafted Beater . Red Deer Rawhide. FYI - Tone of a Drum - Deep tones are achieved using large drums, the larger the drum the deeper the tone, however drums do have a mind of their own and can have a magical array of tones and are also dependent on the weather conditions and temperature of their surroundings! Portable Tongue, Tank drum in key of E. Includes; 1 Tank Drum, 1 handmade carry case and 2 beaters. Video of actual drum being played;. This item has been made with honour and respect by a shamanic drum maker and shamanic practitioner with over 18 years experience. 14" Shamanic Spirit Drum with Beater. We can call on the spirit of goat when we need independence coupled with plenty. SHAMAN THUNDER DRUM . Handcrafted Beater . Red Deer Rawhide. 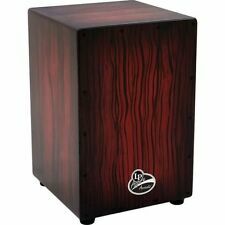 FYI - Tone of a Drum - Deep tones are achieved using large drums, the larger the drum the deeper the tone, however drums do have a mind of their own and can have a magical array of tones and are also dependent on the weather conditions and temperature of their surroundings! 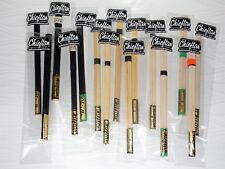 Easy to play with hands or mallets for beginners and profi’s alike. Our drums will enchant you with their sound / a steel tongue drum that does not have that "Steel Tank" ring to it. 13 Gauge Steel: On the playing heads which improves sound, sustain, resonance and overall durability over the thinner 14 gauge low carbon steel used to make other drums of this type. 14" Bodhran, Tunable, 6" deep with arm cut out, goat skin, free tipper and tuning key (no case). Shell: Asiatic Pine. It’s not just about videos and know how; it’s about the person on the other end of the line. We're musicians just like you. We'll do everything we can to help get that next piece of gear into your hands. The padded seat provides ultimate comfort for long sessions and the Velcro panels. keep small percussion accessories handy. Hand Percussion. Best Match. Our goal is to process all orders within 24 hours of receipt. 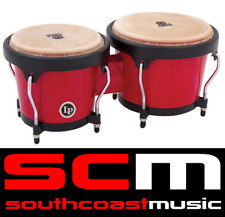 Toca Percussion has just released this exciting new series of drums, the Freestyle Colorsound Djembes. 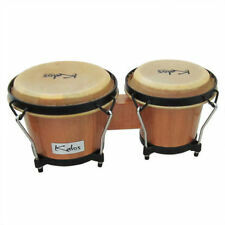 The Colorsound range is the latest in the Freestyle line of Toca hand drums. “Toca’s Freestyle Colorsound Djembes are colorful, fun to play and like all Toca drums, they sound great,” said Victor Filonovich, Director of Product for Toca. Tuned to our unique “Cosmic” Scale in 440 or 432 Hz. Easy to play with hands or mallets for beginners and profi’s alike. Our drums will enchant you with their sound / a steel tongue drum that does not have that "Steel Tank" ring to it. 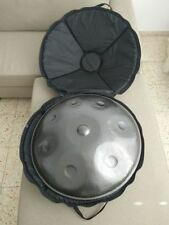 VD EGYPTIAN DARBUKA TOMTOM DOUMBEK. 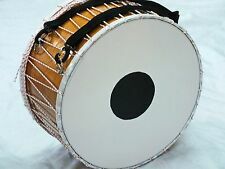 HANDMADE DRUM - TOMBAK - TOMTOM- DOUMBEK. Item location. 18" Waltons Tunable Black Ebony Bodhran. Complete with allen key and beater. Handpicked premium quality double goatskin heads and an attractive range of 5-ply fine woods provide the perfect combination of rich tone and playing power. 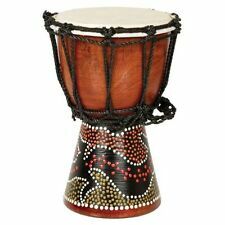 ROPE TUNED HEADLINER SERIES WOOD DJEMBE 12". These Djembes are made from a solid piece of plantation grown Mahogany wood, and are hand carved with a horizontal ripple motif that suggests a flowing river. 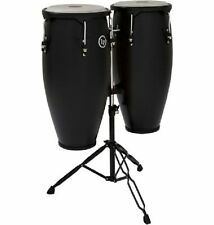 The new Matador Custom Bongos are anchored with high strength steel bottoms for stability, and a new ribbed shell design enhances shell strength in addition to giving it a unique look. The shells are constructed from kiln-dried Siam oak, and topped with hand-selected traditional size 7-1/4" and 8-5/8" rawhide heads. Tuned to our unique “Freya” Scale (in 440 or 432 Hz) a nice balance of notes with lower tones than our "Cosmic" Scale. Mini-Vibedrum – Stainless Steel (no worries about rust) - Stardust – 8 Notes. StarDust: This exotic colour changes colours depending on how the light hits it. HIGH QUALITY COPPER BODY EGYPTIAN DARBUKA. With the rim sitting flush to the head on this drum, finger-snapping techniques are easily executed. The durable synthetic head easily and quickly changes range from deep, resonant "doum" lows to snapping, ringing highs that both fully project. 18" QUALITY WALTONS BODHRAN - Standard. Waltons classic range of bodhráns are handcrafted from the finest woods, with heads made from real goatskin. Suitable for everyone from beginners to advanced players. 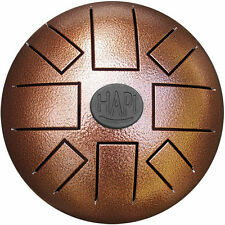 USA made Aeolian 10, ManaStone, Steel tongue drum, handpan, hank, tankdrum, 12"